You may have noticed that the older you get, the drier your skin becomes. While many of the cosmetics, soaps, and even moisturizers can contribute to this dryness, these are not the only cause. 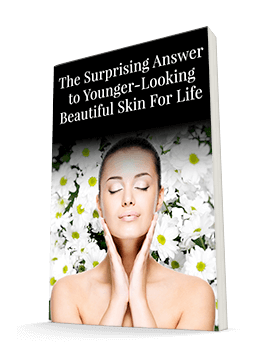 The truth is as we age, our body begins to produce less and less of a substance that acts as a natural moisturizer. As your levels of this natural moisturizer decrease, it has a tremendous effect on our entire body. Not only does our skin become drier, but our ability to metabolize vitamin D and recover from injury diminishes as well. It's one reason your skin doesn't heal as fast when you cut yourself. And it's partially responsible for most people over the age of 40 being vitamin D deficient. So this natural moisturizer plays a major role in the health of your entire body. As you may know, your skin relies on collagen to keep it firm and young looking. But what you may not know is that your collagen relies on the moisturizer, hyaluronic acid, for its nourishment and hydration. Without hyaluronic acid, your collagen begins to break down and your skin begins to age. So what is hyaluronic acid? Simply put, it's a carbohydrate. No, hyaluronic acid won't make you fat. It's a carb that is vital for good health. Hyaluronic acid naturally binds to water and forms a substance a lot like Jell-O. Scientists have been so enamored by this Jell-O substance that they have conducted thousands of studies on it. It is, in fact, one of the most heavily researched substances in medicine. Amazingly, hyaluronic acid doesn't just moisten and lubricate your skin. It also keeps your joints working smoothly. And it softens muscle tissue, including your heart. You can find this moisturizer in every cell in your body. So hyaluronic acid is vital for a healthy you. Unfortunately, hyaluronic acid doesn't stick around very long. It breaks down very quickly, usually within three days. So your body has to produce it constantly. Now you can see why an age-related decrease in production can be very harmful. Fortunately, there's an easy way to assist your body's production of hyaluronic acid. All you have to do is take a high-quality hyaluronic acid supplement. One study back in 2004 wanted to see if these oral supplements do indeed increase your body's supply of hyaluronic acid. They found that not only was it highly absorbable, but your body assimilated it into every cell in the body. They found higher levels of hyaluronic acid in joints, muscles, and organs. You can find high-quality hyaluronic acid supplements at most health food stores and on the Internet. You also can find hyaluronic acid in your skin care products. In fact, Systéme 41 included it in several of the products in their Skin Care Essentials Kit. Final note: There is a debate going on now about whether hyaluronic acid will moisturize skin if you live in a dry climate. Because hyaluronic acid pulls water from the air and into your skin, what does it do when the air is dry and there's little water to pull in? Some say it will pull the water from your skin and produce dry skin. I've not seen convincing studies that this does indeed happen. But if you use hyaluronic acid and notice that your skin is becoming drier, you can add a compatible moisturizing and hydrating product. 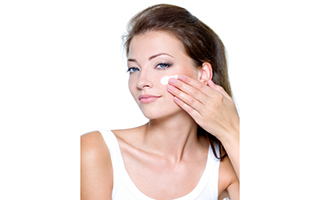 First, apply a pure hyaluronic acid on preferably damp skin, wait a couple of minutes, and then apply the moisturizer. (FASEB, 2004). A. G. Schauss, L. G. Balogh, A. G. Polyak, D. G. Mathe, R. G. Kiraly and G. G. Janoki American Institute for Biosocial and Medical Research, Inc and National Institute for Health.